"Right Click the Link" and Save Target to your computer. every teacher should receive a copy of this handbook. Topics Include: Morning Procedures, Entrance Procedures, Homeroom A.M., P.M. Teacher – A Professional Person. eloquently and writing skillfully are tasks that you must master. your confidence and your competence in speaking and writing. tone, discipline, and teacher evaluation. improve student behavior, and increase achievement. 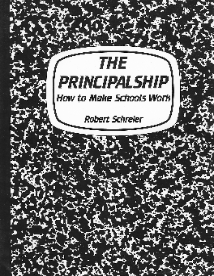 Books that all Principals must read!